While FSMA has meaningful implications for food safety regulations, it does not apply to every farm in the U.S. This document provides a brief overview of the produce categories covered by FSMA and the act’s exemptions. 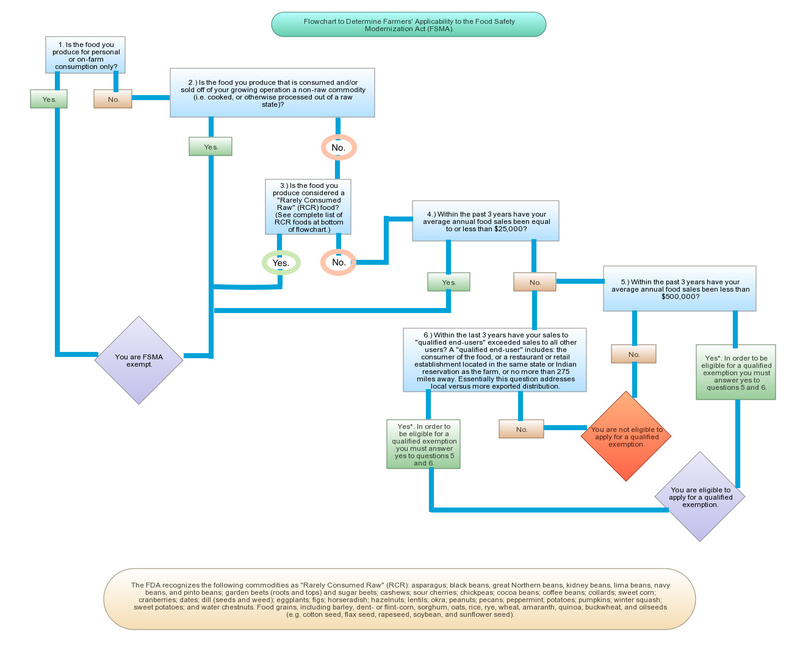 If you are more visually oriented, take a look at the super intuitive flow chart at the bottom of the page, which will tell you right away whether you have to abide by FSMA or not. Both the flow chart and the information below were put together by our policy intern, Clare Healy. Agricultural Water: Water Quality and Testing. Certain water used with growing and harvesting must be tested for the average amount and variability of E coli. Testing requirements vary based on type of water used (i.e. ground water, surface water, municipal water). Biological Soil Amendments: Raw Manure and Stabilized Compost. There must be a 120 day interval between the application of raw manure to soil and crops that will contact that soil, and a 90 day interval for crops that will not contact the soil. Stabilized compost must be applied in a form that minimizes the risk of contact with crops before or after application. Sprouts: Irrigation water must be tested for certain pathogens, and pathogen tests must be negative before sprouts enter the marketplace. The growing, harvesting, packing and holding environment of sprouts must be tested for Listeria or Listeria monocytogenes. Domestic and Wild Animals: All farms must visually examine crops and fields/growing areas for contamination by animals. If significant contamination is found the area should be clearly marked, and crops may need to be forfeited. Worker Training and Health and Hygiene: Supervisors and farm workers handling produce and/or food-contact surfaces must be trained in proper hygiene practices, and implement hygienic practices, like hand and food-surface washing. 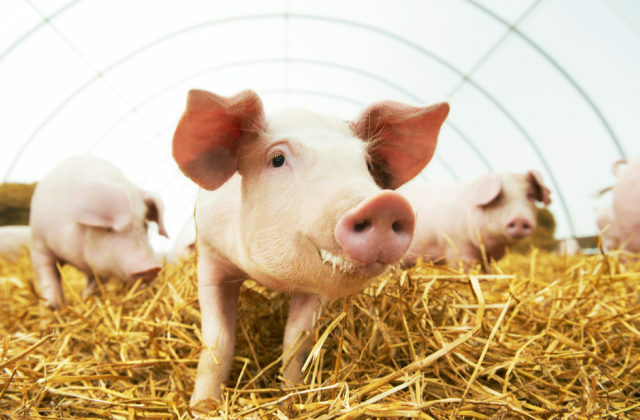 Those who are ill or have a contagious infection should not have contact with farm’s produce or food-contact surfaces. Equipment, Tools and Buildings: There must be appropriate, secure, and clean storage of farm tools that come into contact with produce, as well as maintenance and cleanliness of other equipment. Fruits, vegetables, and grains that are not raw commodities, or that are rarely consumed raw. A complete list of “rarely consumed raw” foods can be found on pages 4-5 of Key Requirements: Final Rule on Produce Safety, cited at the end of this document. Produce consumed on-farm or as personal farm consumption. Farms that within the past three-year period from FSMA implementation have an average annual value of produce sold amounting to equal or less than $25,000. During the previous three-year period the farm’s sales to “qualified end-users”—consumers and/or restaurant or retail food establishment located in the same state or Indian reservation as the farm, or no further than 275 miles away, must be greater than sales to all other markets combined. For more information, including list of “Rarely Consumed Raw” crops, FSMA compliance dates, details on qualified exemptions, variances, and more, please see Key Requirements: Final Rule on Produce Safety.